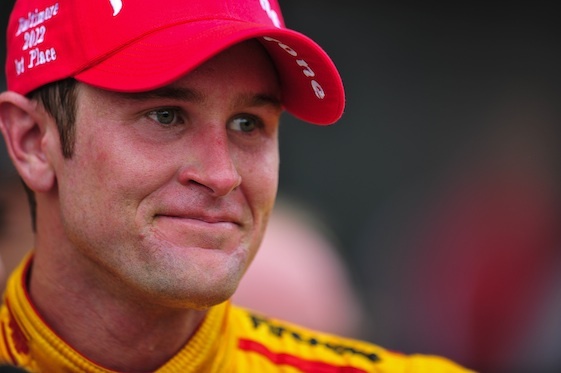 “I gave it everything I had and it’s great to get the DHL Chevrolet up front again and on pole,” said Hunter-Reay, the reigning IZOD IndyCar Series champion who has a pair of runner-up finishes on the 2.536-mile, 11-turn temporary street circuit. “That’s three of the four races this year that we’ve been on the front row and twice on pole. I’m so happy for the guys and everything they’ve done for me. Andretti Autosport teammate E.J. Viso will start a career-high second. Dario Franchitti, the pole winner in the inaugural Brazil race, will start third and Tony Kanaan will start a season-high fourth in his home race. Will Power, who has won all three races on the temporary street circuit in the No. 12 Verizon Team Penske car and paced the 25-car field in the two practice sessions preceding qualifications, will start 22nd. Power had started from the pole in the previous two races in Sao Paulo and qualified fifth in 2010. He recorded two laps in Group 2 of the first 10-minute session before action was halted because of a red flag with about 3:30 left for an incident involving the No. 16 Acorn Stairlifts car for Rahal Letterman Lanigan Racing driven by James Jakes. Time expired in the session before cars could return to the track. Team Penske teammate and IZOD IndyCar Series points leader Helio Castroneves will start 18th after a similar fate. Josef Newgarden, who was 17th overall through the morning practice sessions, did not make a qualifying attempt because the Sarah Fisher Hartman Racing team was changing the Honda engine in the No. 67 entry. He will start 25th.